In Florida, Bicycle Riders Have Many of the Same Rights and Privileges as Motor Vehicle Drivers and Passengers. If You Have Been Injured on a Bicycle in Volusia or Flagler Counties, Our Bicycle Accident Attorney Will Meet With You To Discuss Your Case. As a bicyclist in Florida, you have legal rights. You have the right to share the road. And when you get injured in an accident, you have the right to seek full and fair compensation for your injury-related losses. Unfortunately, due to the nature of cycling on the road, injuries from bicycle accidents tend to be severe. Even when riders are wearing helmets, concussions and other head injuries are common, as are broken bones, severe lacerations, soft tissue damage, and spinal cord injuries. If you have been injured in a bicycle accident, it is important to know your legal rights. For example, did you know that you may be entitled to coverage under the driver’s personal injury protection (PIP) policy? If the driver who hit you was uninsured (or if he or she did not stop at the scene of the accident), did you know that your own PIP auto insurance may apply? At Rue & Ziffra Law Offices, we have decades of experience helping bicycle riders recover just compensation for accidents in Volusia and Flagler Counties. We have lived and worked here for more than 40 years, and we take pride in representing fellow members of our community. If you have incurred medical bills, missed time from work, or experienced significant pain as a result of your injuries, we want to help you, and you can rest assured knowing that our team of attorneys is fighting to win the compensation you deserve. We represent individuals who have suffered traumatic injuries in all types of bicycle accidents and cycling collisions. Regardless of what happened, if you have suffered serious injuries, it is important that you speak with an experienced personal injury attorney. Many of our clients are surprised to learn about the options they have available, and most are not aware of the full extent of the compensation to which they are entitled. If you were injured in a collision with a car, truck, or SUV, you may be entitled to compensation under the driver’s personal injury protection (PIP) policy. PIP coverage is mandatory in Florida, and it provides up to $10,000 in coverage for medical expenses from bicycle accident injuries. If you own a vehicle (or if any member of your household owns a vehicle), you may be entitled to coverage under your family’s PIP insurance as well. By law, PIP insurance is required to cover pedestrians and bicycle riders; and since PIP provides “no-fault” coverage, you can file a claim regardless of the factors involved in your accident. If personal injury protection (PIP) insurance is not enough to cover your accident-related injuries, we can help you seek additional compensation under the at-fault driver’s bodily injury liability (BIL) policy. Or, if the driver was uninsured (or fled the scene of the accident) and you have uninsured/underinsured motorist (UIM) coverage, we can file a claim under your UIM policy. Accidents involving rented bicycles present certain unique issues; and, while rental companies will usually require you to sign a waiver, (i) these waivers are not always enforceable, and (ii) they do not cover all types of accidents. If you were injured while riding a rented bicycle, we can help you, and we encourage you to contact us as soon as possible. While many bicycle accidents involve negligent drivers, some involve manufacturer product defects. 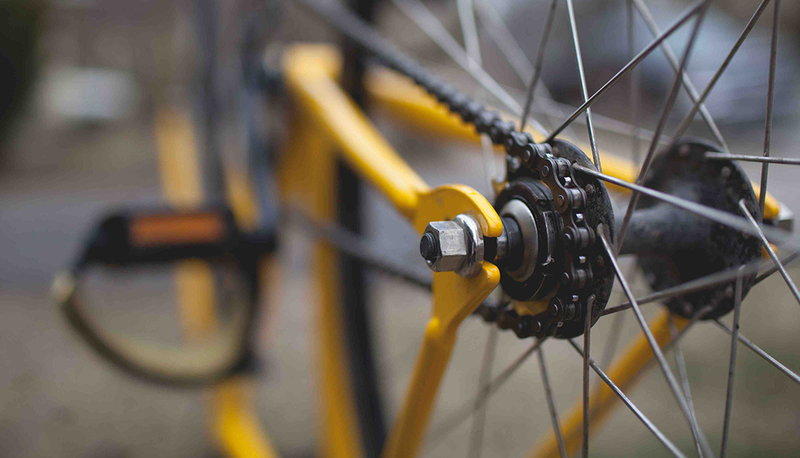 If you crashed (or if your injuries were more severe) because of a problem with your bicycle, we can file a claim against the bicycle manufacturer to seek full compensation for your injury-related losses. Q: What if I was partially at fault in a bicycle accident? Let’s consider an example. Suppose you ran a four-way stop sign on your bicycle, and while you were in the intersection, you were hit by a driver who also ran the four-way stop while speeding excessively. Based on these facts, it would appear that you and the driver both played a role in the accident. If a jury determines that your damages are $100,000 and you were 25 percent at fault, you would be entitled to collect $75,000 for your injury-related losses. Q: What are some of the most-common scenarios involved in bicycle accidents? Q: What are bicycle riders’ rights on the road in Florida? Q: What are some examples of issues that can make bicycle rental waivers unenforceable? Also, keep in mind that the rental company may not be the only party that is responsible for your injuries. Q: How long do I have to seek financial compensation for a bicycle accident in Florida? Florida’s statute of limitations for most personal injury claims is four years. However, for a variety of reasons, you should make arrangements to discuss your accident with an attorney as soon as possible. Rue & Ziffra Law Offices is a personal injury law firm with deep roots in the Daytona Beach Area. We have been serving our local community for decades, and we have recovered millions of dollars in compensation for our clients’ injury-related losses. Founded in 1976, our firm has expanded to a team of nine experienced attorneys and a staff of dedicated legal professionals who are committed to helping our clients in every way possible. From scheduling doctor’s appointments to answering your calls 24/7, we want you to know that we are here when you need us. While most of our cases settle, we have a proven record of success at trial, and we are proud to have represented so many members of our community in Volusia and Flagler Counties. For more information about how we can help you recover just compensation for your bicycle accident injuries, contact us to schedule your free initial consultation. To schedule an appointment at a time that works for you, please call (386) 788-7700 or let us know how to contact you online.